When you witness strands of hair here & there in numbers which cannot be ignored, you are alarmed. When you witness strands of hair here & there in numbers which cannot be ignored, you are alarmed. Everyday around 100 strands leaving your scalp is quite normal, as it is replaced naturally, but if this increases in manifold, you need to take it seriously. First try to understand hair fall reasons which are numerous & varies from person to person. Reason 1: The most common reason that aggravates hair fall is Dandruff & Scalp infections/illnesses. Reason 2: While analyzing hair fall reasons, heredity/genes has to be primarily kept in mind. Reason 3: Imbalanced diet is one of the principal cause of hair fall as it leads to vitamin/protein deficiency. Reason 4: Any kind of stress/trauma/anxiety takes a great toll on your hair too. Reason 5: Terminal illnesses/certain diseases create imbalances resulting in excessive hair fall. Reason 6: Strong medicines/treatments have serious side-effects on the patients health leading to unnaturally high hair fall. Reason 7: Chemical treatments/excessive styling is another factor which magnifies the problem of hair fall. Reason 8: Using substandard hair care products intensifies hair fall. 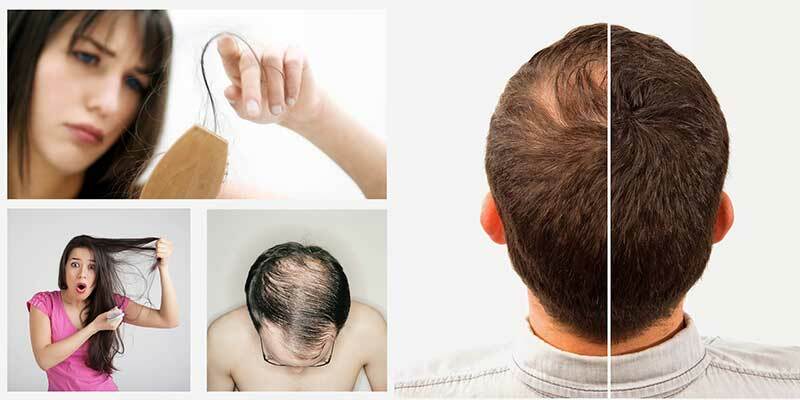 To find an effective solution to your hair fall problem it’s essential to know the root cause which can be done only through proper scientific diagnosis. Step 1:Visit a reputed hair clinic for an extensive hair/scalp check-up. Step 2:The scientific diagnosis will give you the roots cause of your hair loss. Step 3: Based on your report, the Expert will advise hair loss treatment. We are the pioneers in hair fall treatments through a variety of techniques & procedures. We have an impeccable track record of 45 years of service in hair care sector. We hire the best talents of the industry as we strongly believe in ethics & quality. We keep reinventing & upgrading ourselves by researching and implementing unique & advanced procedures. We offer the best price for all our services. TIP 1: BALANCED DIET: Like all parts of the body, hair also needs healthy nourishment. So a hair loss treatment expert will always recommend iron/protein rich diet which will ensure less hair fall along with healthy growth. Leafy, green vegetables & dairy products must be included. TIP 2: STRESS & ANXIETY CONTROL: As stress & anxiety affects the immune system negatively therefore learning to destress through yoga/workouts helps in controlling hair fall. TIP 3: AVOID USE OF CHEMICAL TREATMENTS & EXCESSIVE STYLING: Choose your hair care products wisely. 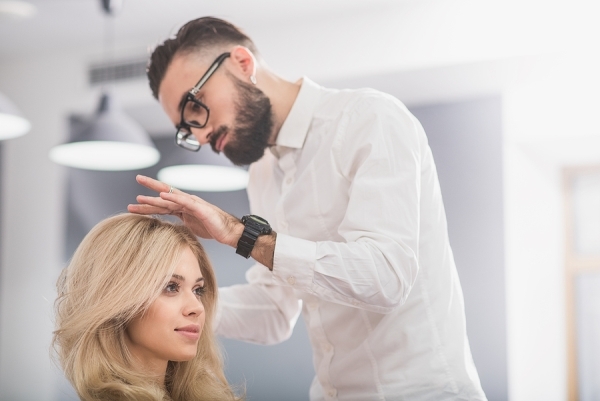 Use sulfate-free shampoo, avoid hair coloring, frequent styling, etc. TIP 4: GETTING RID OF DANDRUFF/SCALP INFECTIONS: if diagnosed with such problems, follow the specific treatment advised by a hair expert. Only a healthy scalp will promote healthy hair. TIP 5: PROVIDE EXTERNAL NOURISHMENT: Select a healthy range of shampoo, deep conditioner, protective serum, oil, etc. to pamper your hair. 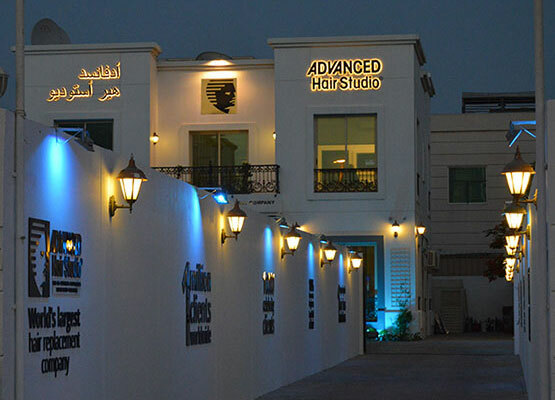 Visit ADVANCED HAIR STUDIO & get 100% solution to your hair problems ! We guarantee customer satisfaction irrespective of age & hair condition !